Success in music doesn’t just happen. It’s not impossible, but it does take work. You must be a talented musician, of course, but you must also be an equally talented marketer. Many new musicians are surprised by just how much time and energy a successful marketing campaign demands. Research marketing for musicians, and you’ll find a trove of information – how to market on and offline, where to distribute your music, why or why not to tour. No matter how you decide to market yourself, you must always start with an airtight plan. You will need to build an integrated, focused campaign across many platforms in order to succeed. The good news is that marketing is just as much science as art. By following this guide, you can be sure that you’ll be building an effective marketing campaign for your music. We’ll start with setting goals and take you all the way through to planning digital distribution of your tunes. Your first step in creating a marketing plan is to identify and state your goals clearly and concretely. First, think about what you’d like to achieve, then zone in on what form that would take. Are you trying to promote brand awareness, or is it your goal to push sales of a specific release? Are you trying to get on a tour circuit? Boost sales locally? Boost sales internationally? 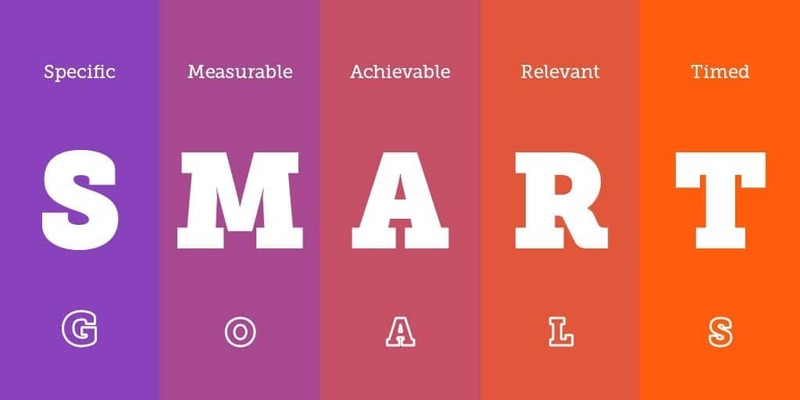 The easiest way to get a handle on goals is to set S.M.A.R.T. marketing goals. S.M.A.R.T. stands for Specific, Measurable, Attainable, Relevant, and Time-bound. Specific: Your goal needs to be concrete. “I want to be wildly successful” isn’t specific. “I want to sell X albums this year,” is. Measurable: You need to be able to measure your progress toward your goals. This goes with Specific. It’s tough to measure your progress toward “wildly successful,” because you haven’t defined what exactly that means. But you can measure how many albums you have sold against a target number. Attainable: Don’t expect to sell a million albums in your first year. Set goals that are realistic. Otherwise you will drive yourself crazy with a bar you can never reach. Relevant: Your goals should all help move your music career forward. Don’t get distracted by secondary aims. Time–bound: You need a timeframe for your goals. “I want to sell X” albums isn’t very helpful on its own, because that could take your whole life if you don’t focus. Goals like, “I want to become a superstar” won’t get you very far. A goal like, “I want to increase album sales across the board 20% this year,” will. Next you will need to research your audience. This is the focus of our article, “Essential Steps to Take Before You Buy Plays Online.” If you haven’t already, read that article to learn how to create a Marketing Persona—a profile of your typical listener. Before you can start creating your plan, you’ve got to know the values and needs of your listeners. Only then can you market to them effectively! This is also a great time to conduct a situational analysis, or a SWOT analysis. This stands for Strengths, Weaknesses, Opportunities, and Threats. Strengths: Everything that’s on your side. Current fans, recording equipment, a manager, a team, your band mates – basically anything and everything that you can mobilize to reach your goals. Weaknesses: These are the internal problems holding you back. A lack of marketing knowledge might be one example. Another might be a lack of familiarity with distribution options. A low budget could be a third. Opportunities: These are trends, networking connections and possibilities you can capitalize on, but haven’t yet. Threats: These are external factors which could get in your way. Take an afternoon and really dig into these things. Think about all the factors working for you and against you. Think about things you can take better advantage of, and things that are weighing you down. What are your goals, where do you see yourself, and what are the gaps you see in achieving? Once you know your goals and your audience and you have identified your SWOT profile, you can come up with a budget for your marketing campaign. While this may be limited by the resources at hand, keep in mind you need a realistic budget to achieve your goals. If you do not have the money you need to reach a certain goal, you may need to revisit your goals for now and set your sights on something you can achieve. Your next step will be to prepare the physical and virtual marketing materials you are going to use in your outreach efforts. You can begin with your website and social media profiles. If you have not already filled out basic about and contact information on your profiles, now is the time to do it. As your marketing efforts start gaining ground, you are going to be funneling traffic through these sites. If people do not know how to reach you or purchase your music, you will not be able to reap the rewards of all of your hard work. High-resolution images of you and/or your band members as well as any graphics you have created for your work. Use .jpg for your images, but make sure your files are large so quality transfers well. The best format for your graphics–especially your logos–is a vector, because you can scale vectors to any size without losing quality. Here is a tool you can use to convert bitmaps to vectors. Also put together physical press kits if you’re able to. 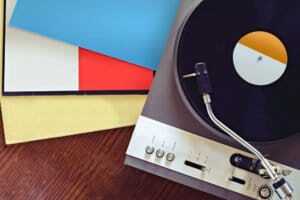 If you do, provide demo CDs (without shrink wrap) in lieu of downloadable tracks. But provide download information as well. Give people options, and package everything neatly. The goal is to present yourself professionally and make it as easy as possible for members of the press to find information on you and listen to your music. This is also the perfect time to create flyers for your band. Distribute these to local venues, coffee shops and other places that your audience may frequent. Finally, one more marketing thing you should work on at this time is a newsletter. Preparing newsletters for your email list and posts for your blog will be an ongoing project, but this is a great time to think about exciting news and developments you could share with your fans. Now that you have your marketing materials ready, it is time to research and prepare a list of online and local influencers you can reach out to ( you’ll be executing this in step 6). These can include A&Rs, local giggers, other local bands, bloggers, and music journalists. It is vital that you target highly relevant people here. Do not simply target large or famous publications. You cannot reach everyone at once, and nobody who is famous ever got started that way. Use a rifle, not a shotgun. Target influencers who have access to the same niche listener base that you want to reach. While you’re at it, you will need to do the physical part of the legwork. Start going to shows by similar and local artists who may be able to help you out. Open for someone targeting the same audience, if you can. Get to know your fan base in person. Once you have some organic growth offline, you can start with a big online push (see the next two steps). This way, by the time you reach step six and start actively reaching out to influencers, you’ve got all your ducks in a row. It is nice to think that promoters, journalists, labels, and booking agents are going to pick you up on the basis of your sound alone, but the reality is, music is a business. That means you need the numbers to prove your relevance, or no one is going to look at you twice (or, for that matter, listen to your tracks). So next, you need to start purchasing plays, likes, and reposts. This provides you with the initial social proof that you’ll need to show industry influencers that you are worth their time. It also signals real listeners online that you’re worth a play. 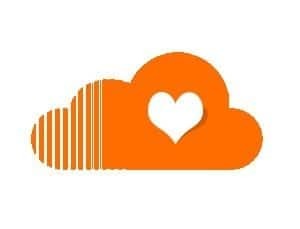 In short, buying SoundCloud marketing services is necessary to jumpstart your career and start getting an influx of organic plays, likes, and shares. When you do this, it’s extremely important that you go with a top-rated service! The last thing you want is a sudden flood of likes or plays from fake-looking accounts with little or no activity. Your likes, plays and shares need to be drip-fed from real, aged accounts. Now that you are starting to generate some online social proof, it’s time to leverage it! 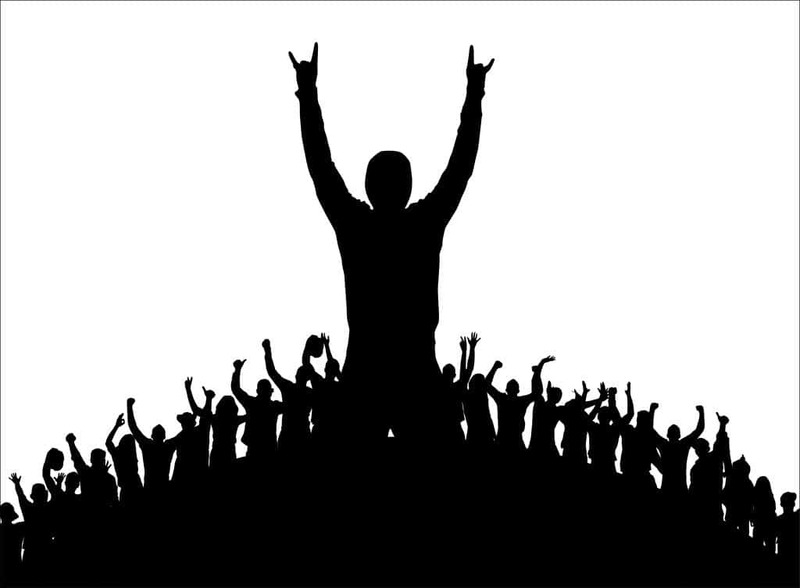 Your goal is to build buzz around your music and start priming people for your upcoming releases and shows. One common newbie mistake when it comes to sharing on social media is sending out post after post promoting your music. This is not going to accomplish much, if anything, since you are shouting alongside thousands of others doing the same thing. You are not giving anyone a reason to take time and energy to share your music. You have to take it a step further to get people involved and really bring them onboard. Provide incentives to get others to listen to and share your music. Consider offering discounted merchandise or albums. Give away free downloads. Offer tickets to your next gig. Run remix contests and feature the winner on your next album. Be creative – if your music is good, you’ve got potential fans out there. Try different things to see how you can engage them. Take this time to collect valuable feedback that you can use to fine-tune your campaign. Polling is an excellent way to do this, as is reading comments. Actually take the time to respond to comments and have meaningful conversations with fans and fellow musicians. This builds loyalty and converts casual fans into die-hard fans. Cross-promote across different platforms (social networks, niche forums, etc. ), and you will get the best results. Just like in the previous step, if you’re cross-promoting, you can give yourself a boost with purchased likes and shares. 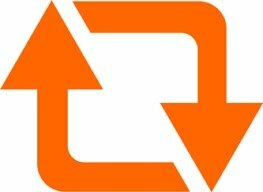 If you’re on Twitter, boost your tweets with likes and reposts. If you’re targeting YouTube, get some views and comments. And with SoundCloud as your home base, all these tactics together will inevitably create online buzz around your music. Now you are finally ready to reach out to the list of influencers that you prepared in step three. You finally have the buzz and social proof you need to demonstrate your relevance. Steps 3 through 5 were lining up your shot, and now you’re on target and ready to pull the trigger. You have the metrics and feedback you need to secure your success as you go, and you have probably also added new names to your influencers list. So this is the time to reach out to the big boys with your press kit! Be sure to couple your online efforts with continuing offline outreach at shows and events. Regularly follow-up with your contacts, even if you don’t hear back (and more times than not, you won’t hear back). This process can be daunting, and at times discouraging, but hang in there. Gradually you’ll make the right contacts. Once you have influencers on your side, the momentum will really start to pick up. Once you have people talking about your music and searching for it, it’s your time to shine – make it easy for them to find you and your music! There are numerous options you can take for digital distribution. You can sell your music by the album or by the track. There are also alternative ways to monetize your music, such as crowdfunding or subscriptions. Amanda Palmer was able to raise $1.2 million on Kickstarter for her music. Of course, crowdfunding isn’t a cakewalk. Palmer gave away numerous items to supporters and even offered to party with major contributors. Most importantly, she already had some fame as a former member of the Dresden Dolls, so she had visibility going in. Still, despite its challenges, crowdfunding offered her way more than a traditional label would have for her solo work. CD Baby: Charges a flat fee per album or single along with a commission for publishing. If you sign up for distribution, there are additional costs. TuneCore: There is a single flat fee for unlimited songs and albums, as well as a commission. SongFlow: This service charges a flat fee per single and offers discounts for subscriptions. The steps you take to distribute and sell your music depend on the service(s) you choose. Before you can distribute online, you will first need to obtain a UPC code for your release. Distributors like CD Baby sell these for a reasonable price. With a UPC barcode, your aggregator can track and distribute your music, and report sales to the Billboard charts. Always make sure you choose a non-exclusive licensing agreement and own all rights to your music when you pick your distributor. Make sure you do comprehensive research and carefully read the terms and conditions in order to select the distribution method best for you. State by figuring out where you stand and where you need to be. 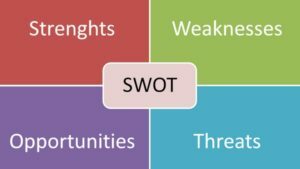 Conduct SWOT analysis and set S.M.A.R.T. goals. Get to know your fans and set a budget. Prepare your marketing materials for A&Rs, radio stations, labels, bloggers and giggers. Get your reach-out list of influencers ready. Buy likes, shares and comments to build momentum and social proof. Share your music on social media and promote it with contests and giveaways. Build up the buzz. Pull the trigger and reach out to those influencers with the social proof you’ve cultivated. Prepare for digital distribution and start selling your music. Marketing your music begins way before you start distributing. It is never too early to make a start. Remember that marketing your music is not a static process. Every day you will learn something new, and every day the music world is changing. You will need to constantly adapt and update your campaign if you want to come out on top. 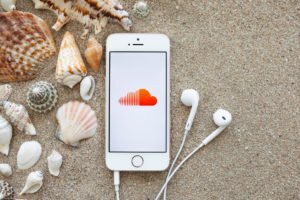 It’s a long journey to success, but if you stay the course, you’ll start building momentum and skyrocketing your SoundCloud.